Don’t let the Vietnam war fool you: the country has amazing landscapes, a rich culture and respectful, civilized people. The beaches with fine sand, clean water and tropical nature surrounding them have made Vietnam popular. Historic sites speaking about its unfortunate past encourage cultural tourism. But maybe the most famous thing about Vietnam is its amazing nature, with undiscovered spots and wild animals inhabiting its forests. Vietnam is a communist country, but don’t start pitying its people. The country has one of the highest employment rates (for second-world countries), and there is almost no illiteracy among its population. They value education and place a strong emphasis on work ethics. At the same time, once the work is done, they love drinking or wandering around in motorcycles. Millions of motorbikes can be spotted in Vietnam daily. You won’t encounter any traffic in the noon — after lunch break, Vietnamese rest a while. Accept their invitation to lunch or dinner: Vietnamese food is delicious. Pho, spring rolls, seafood and many, many vegetables constitute the healthy, exquisite Vietnamese cuisine. The country exports more cashews than any other country and only Thailand exports more rice than Vietnam. 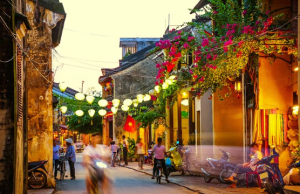 If you have planned to pay it a visit, enjoy their lifestyle for a day and be the guest of a family in Sa Pa. You can’t miss Saigon (now Ho Chi Minh City) or the Old Town in Hoi An if you want to learn its history. Da Lat presents a fascinating mix of French and Vietnamese cultures. 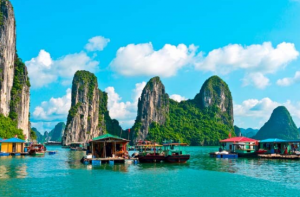 Phong Nha Ke Bang, Nha Thang, Cham Islands or Halong Bay will charm you with their breathtaking landscapes. Looking for a more spiritual experience? 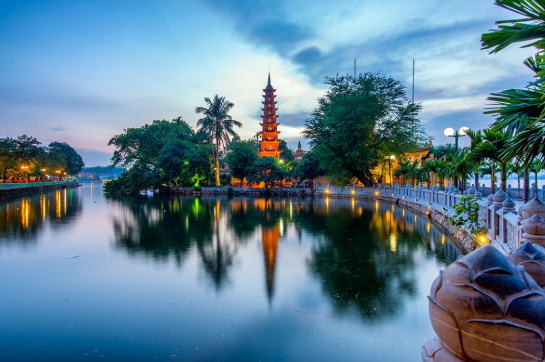 Add Keo Pagoda, the Caodai Great Temple and the Phuoc Kien pagoda on your list. Don’t forget to try their coffee, their coffee shops are the best! Most restaurants serve free ice tea — don’t be ashamed to ask! Attend their festivals, especially Tet, the buffalo-fighting festivals and their National Day, to get a complete image of their traditions.